Want to MIDIfy the Monotron? Or Gakken, ASM1, MFOS? Here's solution for you. MINICV is a micro MIDI to CV converter (MIDI2CV) that can fit anywhere. 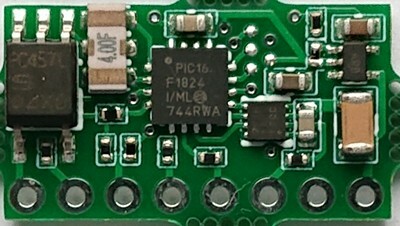 It's half the size of claimed to be the smallest in the world MIDImplant, and it's more or less the size of DIP14 IC socket. Covered range is 4 octaves (4V) with well maintaned precision, or user selectable 5 octaves (up to 5V) with not so great stability, for applications where it does not matter much. 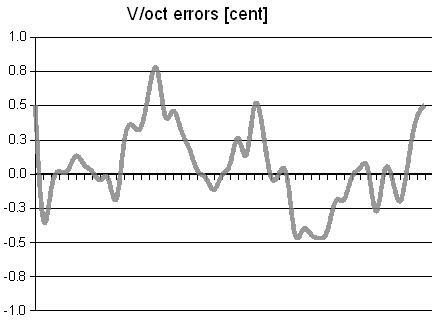 Only V/oct mode is available, and voltage trigger (V-trig). any of 120 MIDI Continuous Controller, e.g. volume, modulation, etc.